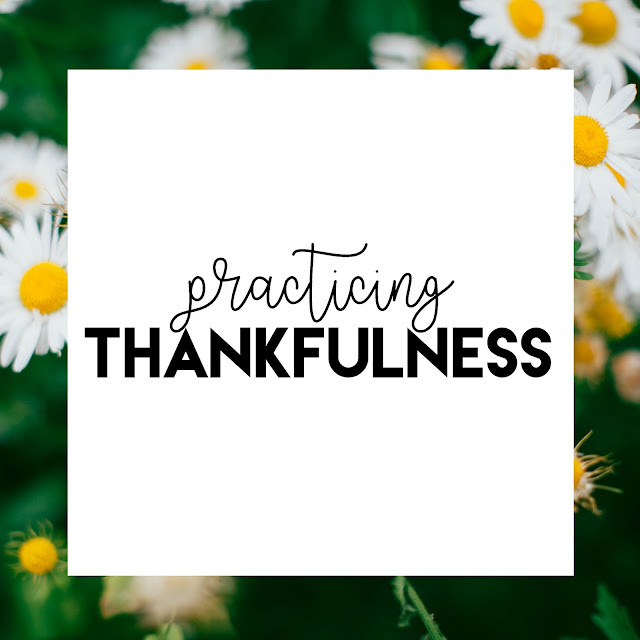 Practicing Thankfulness. | The girl who loved to write about life. Let's get very honest for a moment: At the time of writing this, I'm actually writing it in a notebook, because there's no power (thanks, Irma). There's no air conditioning without power, so I'm hot and sweaty and sticky. I would love a hot shower, and I'm grumpy about the fact that if I want a cup of coffee, it's going to be a cup of lukewarm cold-brew I found in my pantry. When I woke up Monday morning, I was super thankful that the hurricane didn't hit my area at the level of ferociousness that had been forecasted. I was thankful to be safe and to even have a house, power or no power. Know what I'm not feeling a ton of right now? Thankfulness doesn't always come naturally. It doesn't feel natural right now, because I just realllllly want a hot shower and a cup of coffee. It doesn't feel natural to be thankful when I'm about to throw away hundreds of dollars of food that went bad without power. And that's okay! I would love to be the kind of person who is naturally thankful in any given situation-and sometimes I am!-but sometimes it takes some practice. One could even say that sometimes, you have to force it. So let's practice (ahem, force) some thankfulness today. I'm thankful that my house is still in tact, even if it is a thousand and four degrees in here. I'm thankful that I had the foresight to buy a bottle of cold-brew coffee, so even though it's not the hot mug I'm craving (nor is it "cold" brew), I'm not having caffeine headaches. I'm thankful for the people who reached out to double-check that I was okay and then continued to check-in...I love the blog world. I'm thankful that a few days without power has given me time and motivation to write...I'm writing this post by hand, for goodness sake! I'm thankful for a happy toddler, who has no idea he's supposed to be upset that there's not power and is currently running around sans-clothes while swinging an emergency lantern around...living his BEST life. This is cheesy, but I honestly feel better. I'm still hot and still want power and would probably still pay somewhere around $75 for a cup of coffee right now, but I feel better. Force it if you have to.